Last week, I wrote about the importance of sharing our setbacks and challenges with other women, and this week I’d like to add to that one very successful woman’s advice to high school students. 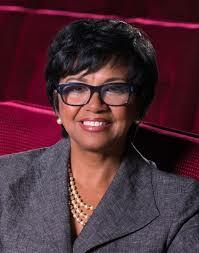 Cheryl Boone Isaacs, president of the Academy of Motion Picture Arts and Sciences (best known for the Oscars!) spoke to a student audience where I am a teacher, but I found her words encouraging and inspiring for people of any age. The film industry is a daunting one to break into, but Boone Isaacs decided her passion for movies made all the hard work worthwhile. She started at entry level, but she gave every job her all, telling students the best way to make headway in a new career is to make yourself indispensable. A lot of top executives make it sound like they were destined for greatness on one long trajectory of success, but I appreciated Boone Isaacs’ honesty in stating that she flitted from job to job until her mid-twenties because she didn’t know what she wanted to do. “Every experience matters, the bad ones as well as the good ones,” she said. “The bad makes you appreciate the good and realize what you don’t want.” Nothing you’ve done has been a waste because it is all essential in creating the person you are today. She also openly stated that she still struggles with maintaining a positive outlook, saying that her first instinct is to tell herself why something won’t work before rewriting her mental script to a more positive message. I find this tremendously reassuring: If someone who has gained this level of career success has her doubts, it makes it seem normal for me too. She told students that even though she is asked all the time about barriers in her field based on race or gender, the biggest issue is the obstacles we create ourselves. “People put up their own barriers, such as ‘I’m not good enough’ or ‘I’m not smart enough,’ but the barriers that you create, just know that you can also take them down,” she said. These are statements from beautiful, accomplished women who look like they have it all. I was astounded to hear them confess that things aren’t always awesome for them, but it was exactly what I needed to hear because those are thoughts I’ve had at various times too. I had the pleasure of recently attending a women’s workshop where we got to share our victories and setbacks of the past year, and the most helpful part for me was hearing other women admit that sometimes it’s a real trial to reach their goals. Two steps forward and one step back? Sometimes it’s more like three steps back and one step forward! 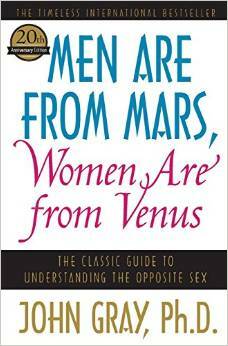 I just finished reading Men Are from Mars, Women Are from Venus by John Gray. Certain things suddenly made sense when he said that when women have problems, they merely need to be heard and validated to start feeling better. We don’t need someone to come in and fix it, nor do we expect that. Just the release of being able to say honestly what’s on our minds helps us let it go and move on. I feel like I spend most of my life skating on the surface with the people around me. “How are you?” “Fine.” It helps me to know that when I feel like I’m the only one who doesn’t have my act together, even the most polished and professional among us also struggle sometimes to reach their goals. 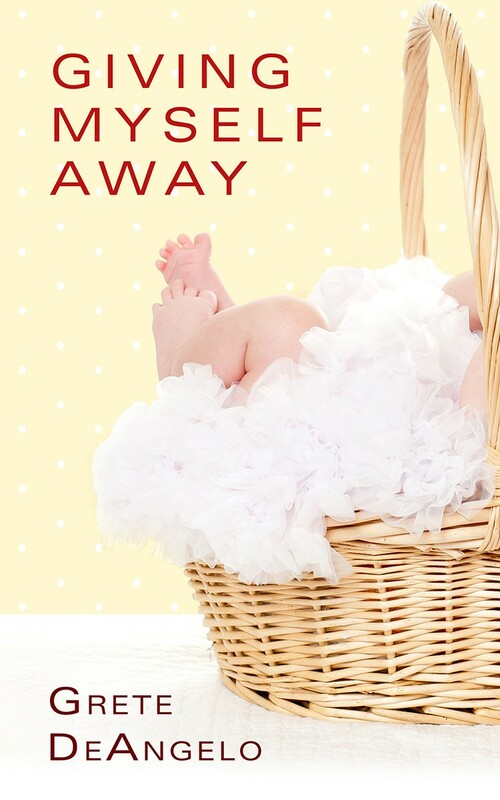 Please check out my first novel, Giving Myself Away. Divorced mom Adrienne gets pregnant after fooling around with a lonely mortician. He wants to marry her and raise the baby together, but she has other ideas. Everyone who knows me knows I am super-organized. At work, I can pull out any file, piece of paperwork, or email you might need in a minute or less. I’m compulsively on time, and everything goes into my calendar. But beneath the veneer of the put-together version of myself was the stress caused by a teetering mountain of papers covering half of our dining room table that got scooped up and shoved into my bedroom closet when we needed the whole table. Coming home from work to look at that overwhelming stack of bills, receipts, school papers, and who-knows-what was disheartening. Every night I said I’d deal with it and every night I threw the day’s mail on top of the pile and ignored it for another day. I made it a goal for this year to once and for all tackle this little nightmare and, yes, this new year’s resolution took more than two months to cautiously say I think I’ve got it licked. 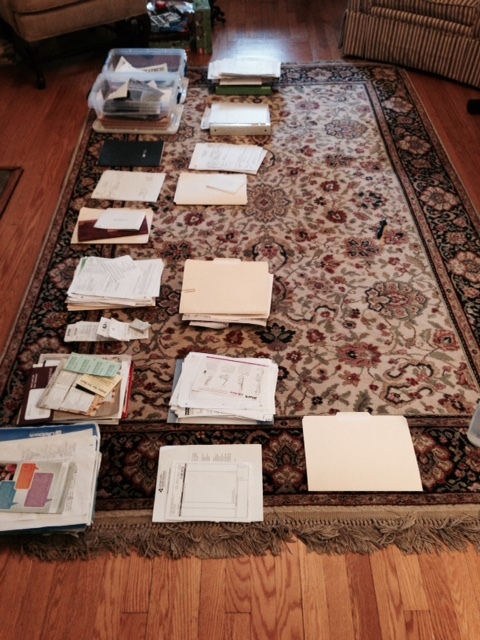 I reached the point where having to shuffle through months’ worth of papers to find the form my son needed for school the next day or to remember to pay that bill on time felt worse than the daunting work of fixing it. “Filing” for me meant periodically throwing out papers that were no longer relevant and sorting the rest of them into some semblance of priority. I took an entire day from breakfast til dinner to salvage my sanity (and our tabletop). 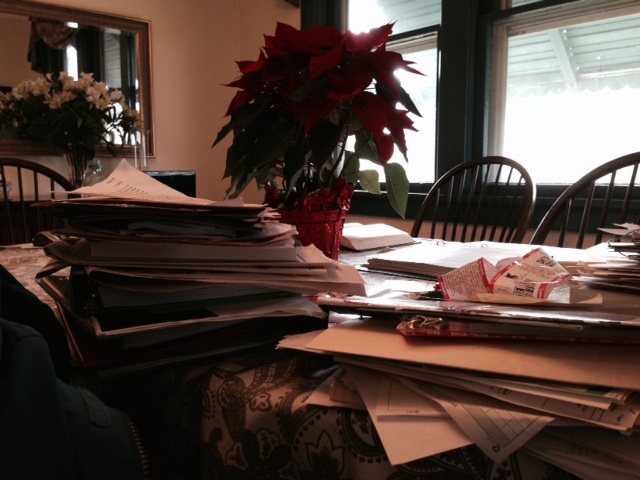 I started by sorting everything into piles (school, tax receipt items, upcoming bills, etc.). Things that needed to be filed but didn’t need ready access got put into my office filing cabinet. I made a few files for papers I expected to be filing regularly in the upcoming months. I bought a cute fabric box that fit on my new writing bookshelf (because I’m girly and I feel more inspired to put things away in a cute box than a metal filing cabinet). Every day I put in any papers that can’t be recycled, and once a week I have to deal with everything that’s in the box, whether it’s filing to the office filing cabinet, making an appointment, paying a bill, or whatever else might be in there. I’ve felt such a load lifted from my shoulders in the past few weeks as I come home from work to see a beautifully clear dining room table, ready for family dinner. 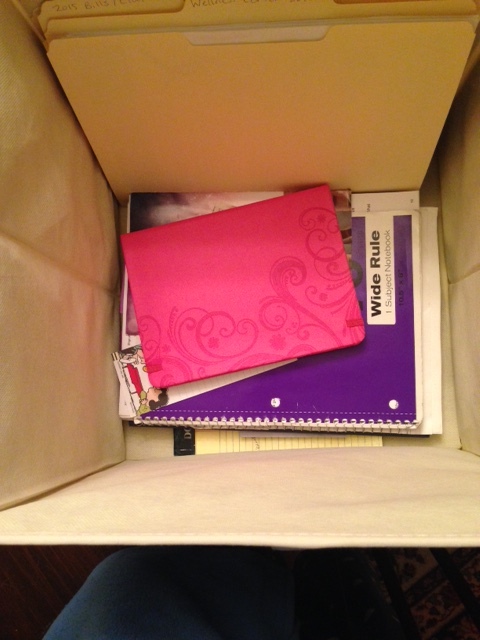 I feel at peace when I look at my file box, knowing it never has more than a week’s worth of papers in it. I’d love to hear what you’ve done to lighten your own load. Please comment!